Happy Friday as we wrap up the 7th week of That Business Show. 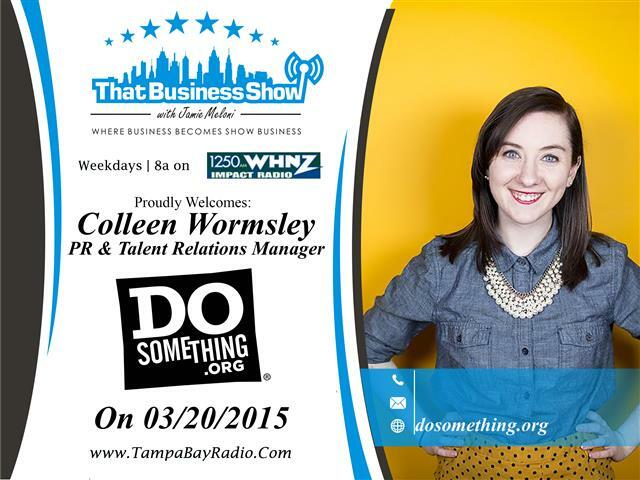 Today I featured two influential guests the first of which was Colleen Wormsley, the PR and Talent Relations Manager with DoSomething.Org. This organization is geared towards people ages 13 to 25 and centers around campaigns that they can get involved with. The organization now has over 3.5 Million members and is involved in many great community causes from water conversation campaigns to recycling worn out clothing as well as anti-bullying campaigns and social media assistance. Many of the campaigns have scholarships and prizes associated with them and membership is free to anyone ages 13 to 25. Just text the word “join” to 38383 and you’re a member! Learn more about this organization and their fun and influential campaigns at http://www.dosomething.org! 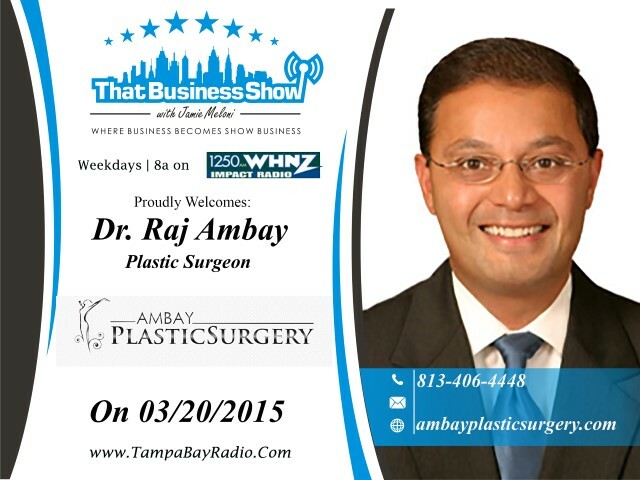 On the 2nd part of the show, I spoke with Dr. Raj Ambay who is a double board certified plastic surgeon and owner of Ambay Plastic Surgery as well as a Lieutenant Colonel in the US Army Reserve. On the show, Dr. Ambay speaks of his military service and about being a field surgeon in the military. His experiences have put him on the front lines of many battles and he has dealt with many trauma patients in battle and tells some of those stories on the show. He himself was affected by an IED attack and shares his experience about that event on the show as well. Dr. Ambay speaks about his journey in medicine from Dentistry to Plastic Surgery and then discusses his local business Ambay Plastic Surgery and the services they offer all of which can be found at the website http://www.ambayplasticsurgery.com. Dr. Ambay is also available via phone for consultations about your plastic surgery needs and questions at 813-406-4448.